For the past couple of years, Skokie officials have listened to complaints about crime, much of it originating in certain areas of the village, and some of it arising from problem tenants in rental buildings. Now, the village board is attempting a balance; to put in place rules and information-gathering that will bring order and reduce crime, while on the other hand not placing too onerous a burden of regulations on landlords. The village board is scheduled to vote Monday, Jan. 6 on the Residential Rental Unit Standards and Neighborhood Integrity Initiative and Ordinance. The village listened to a packed room full of commenters at its Nov. 18 meeting, and many of them said the ordinance’s requirements demanded too much of them. A few, however, said they supported the ordinance’s intent of creating a more law-abiding atmosphere. One said the challenge was to rein in bad landlords without punishing good landlords. Since that time, the village posted on its website it has taken those comments into consideration in refining the ordinance. It will vote Monday on the revised form of the ordinance, which you can see here. It places a landlord in a potential legal liability by forcing turn over of personal tenant information. The village already has the power to inspect buildings. The village demands that each building be inspected prior to a sale, and will require a bond for any repairs that they deem to be necessary. Basically they can say you need to change a faucet or a light bulb, and this would prevent or hold up the sale. They are demanding that the seller place a bond for the repair costs. Who is going to determine this cost? They are excluding condominiums. 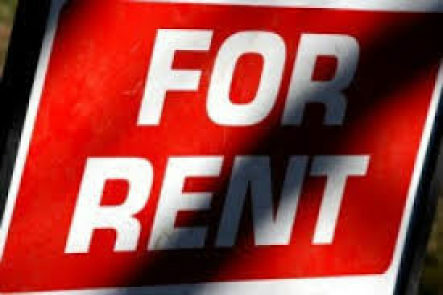 Did you know that the Optima has over 150 rental units that are still owned by the corporation; that does not include the others that are owned by investors. S.I.L.A. (Skokie independent landlords association) has asked the village to return the registration fee back to the landlords in the form of grants, that would be used by the landlords to beautify the exteriors, add landscaping, replace windows or even update apartments. This money could be used wisely to make Skokie more attractive, to make the streets look better. S.I.L.A has asked the village to freeze the registration fee of $25.00 for five years and they have refused. But we all know what will happen over the next few years. “This ordinance is just being rammed down the throats of landlords in an effort to add additional money to the police budget,” Jacobsen said.